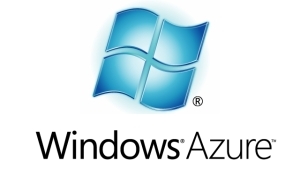 The week in cloud: Can Windows Azure disrupt Amazon’s cloud? Stay tuned. Two of Microsoft’s biggest tech events are queued up for the next few weeks, TechEd in New Orleans this week and Build (formerly known as its Professional Developers Conference) later in the month and it doesn’t take a genius to predict that the company will use these occasions to promote the use of Windows Azure as an enterprise-friendly alternative to Amazon Web Services. The question is whether it’s too late. After all, AWS is by far the largest provider of public cloud services and many (including Morgan Stanley analysts) see that run continuing well into the next decade. As reported earlier, new Morgan Stanley research projected that AWS will hit $24 billion (with a B) in revenue by 2024 and poses a real threat to all legacy IT providers — companies like Oracle(s orcl), HP(s hpq), VMware(s vmw), IBM(s ibm), SAP(s sap) and — oh yeah — Microsoft. I might quibble with the revenue figure — who can project a decade out? — but not with the fact that AWS is already starting to eat these companies’ respective lunches. If any of the top dozen IT vendors in the world aren’t worried about AWS, they should be. Windows Azure launched three years ago, primarily as a Platform-as-a-Service, to underwhelming response at least to folks out side of Redmond, Wash. The problem was that developers, first at small startups, and increasingly at larger companies flocked to Amazon’s more granular and more basic Infrastructure-as-a-Service (IaaS) capabilities. Amazon had a 3 year head start at that time and then it took Microsoft till April of this year to formally launch its AWS-like IaaS capabilities. When Microsoft subsequently claimed that Azure was already a $1 billion business, many (including yours truly) didn’t buy it. And a clarification of those numbers showed that $1 billion covered a lot of distinctly non-Azure-y stuff like Microsoft software sold via AWS and other cloud or hosting providers. And in the years it took Microsoft to get its IaaS out the door, Amazon has churned out more, higher level services including things like its DynamoDB NoSQL database. It doesn’t take a genius to see that Microsoft will respond, not only to AWS, but to an array of other upstart clouds — especially the new Google Compute Engine (s goog) including VMware’s vCloud Hybrid Service. When it rolled out its IaaS services in April, Windows Azure GM Bill Hilf said the company would meet AWS pricing on all basic compute and storage y services and that Azure pricing will be uniform across all geographies and data centers — a not-so-veiled reference to Amazon’s variable pricing. Microsoft runs 8 data centers worldwide, 4 in the U.S., 2 in Europe and 2 in Asia. Microsoft has come into markets way late before and by dint of huge spending and iterative improvements, caught up. Internet Explorer was a pipsqueak compared to Netscape Navigator. Anyone use Navigator now? Didn’t think so. (Of course I’m not sure how many IE users there are any more either.) Still even Windows bashers have to acknowledge that Microsoft’s installed base is humongous. If it can move even a fraction of into Azure, it will be a factor. As to whether Microsoft can dent AWS and fight off incursions by archrival Google — hey if I knew that I’d be on Nantucket now instead of writing tech blogs. For a lively discussion on the cloud computing competitive landscape, check out GigaOM’s Structure conference where Satya Nadella, president of Microsoft’s Windows and Tools unit; Werner Vogels, CTO of Amazon, and Pat Gelsinger, CEO of VMware will be front and center. From SiliconAngle: What CIOs should know about Google Compute Engine. My team recently reviewed Azure and was very impressed. We are moving some of our biz over to them, will see how it goes. I believe the revenue from “distinctly non-Azure-y stuff like Microsoft software sold via AWS” was licensing fees from Windows Server images collected by AWS from customers. As Windows Server images are more expensive to rent than Linux images, the revenue stream probably isn’t large. Alex, do you have the figure on ” the ratio between Win and non-Win boxes in AWS”? It’d be interesting to find that detail out. This seems like a contrived weekend “versus” debate. Azure is a billion dollar business now. What’s “too late” about that? Why are tech blog writers so obsessed with picking winners and losers? That said, the IaaS plays are a race to the bottom. It’s all going to be commodity. A VM is a VM, and it’s going to come down to price in the long run. Services, Ease of Use, Reliability, Experience and Azure injects faults into Linux instances inorder to cause Linux to crash and make IT managers believe that Linux is an inferior product. So for all those needing Linux, Azure would be an act of insanity. WT f you’re talking about? Azure injects faults into Linux instances? Where did you get that, genius? I got it from when I worked for Novell and I learned that Ray Noorda, the head of Novell at that time, hated Bill Gates so I asked why and was told that Microsoft want to build their own networking software so with every new release of Windows, Novell has to totally rewrite the code because Microsoft deliberately does something behind closed doors to break Novell’s networking products. That’s why, I know that these guys at Microsoft are Gangsters. Uhm… how is some Bill-Gates-hater’s personal opinion “at the time” make any effect on what is going on now with completely different product under completely different management with completely different set of variables?